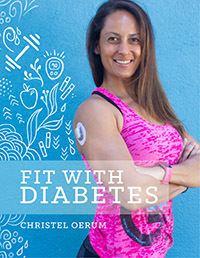 Being a fitness enthusiast with diabetes seems to give people, friends as well as strangers, the idea that it’s ok to comment on how much or what I eat. I know that people mean well, and I may just be a little sensitive, but after coming home slightly annoyed from yet another party where several people commented on what I ate, Tobias and I thought it would be fun come up with a short list of things that you should NEVER say to a person with diabetes (or anyone else, for that matter). Should you be eating that? YES! I should. That’s why I am doing it. And if I shouldn’t, I really don’t need you to point out that I am pigging out! Can you eat that? YES! I can. You just watched me doing it. Wanna see me do it again? 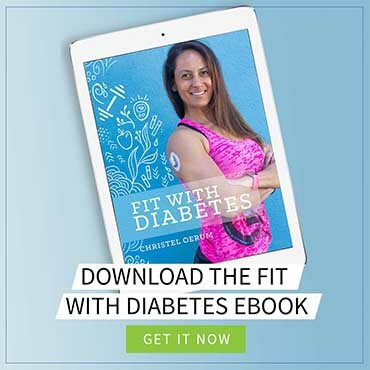 If you are trying to ask about how my diabetes works, please find a way of doing it in a manner that doesn’t involve criticizing what I eat. Wow, you must be really hungry? Erh, Yes? Or I just really like the food. Perhaps I have a serious eating disorder, and you just made it worse by commenting on how much I eat? You never know, so DON’T COMMENT ON HOW MUCH SOMEONE ELSE IS EATING!! You look so skinny/fit/healthy/good, eat some more. Seriously? Would you ever tell anyone, “You look so fat, eat less”? No, you wouldn’t. Then what makes you think that telling me to eat more is any less impolite? You can’t be writing a health blog since you are drinking that (I had a diet coke at a party). So because I had a diet coke (or 4), I am not qualified to write about health and fitness? Get real, please! Just because I know what is healthy, doesn’t mean that I eat nothing but organic kale and drink only water. Jokes aside, can we just agree not to comment on what other people eat or try to force food on them, diabetes or no diabetes? If you want to talk about health and nutrition, I would love to discuss it with you. It’s my passion and one of my favorite topics. Just start the conversation in a polite way by showing that you want to talk about what YOU should eat – not what I am eating. Great list. Fun to vent such thoughts. Family are the worst for me. It’s because they love me and are afraid of what will happen if I eat something they think I shouldn’t. Number 4 – people will definitely say “You should be losing weight, do you need to eat that?” They disrespect us when they imply that we don’t know what we’re doing. If you dare to be overweight, that opens up a whole new line of comments and criticism. Maybe these comments are a way for you to educate others about food, nutrition, diabetes, etc. Maybe the people who make these comments are just a little socially awkward and aren’t that “in-tune” with what is socially acceptable. Maybe a comment from someone else is just the thing we need to hear when we are going off the deep end and need a little dose of reality to bring us back around and realize that portion size really is not what it should be. Or maybe it’s just annoying. The reality is, you decide how you interpret, respond to, or ignore someone else’s comment. If it bothers you, that’s because you let it. Love this!! Although it is my son who has Type One diabetes, I get it from EVERYONE, about what he eats and doesn’t eat. It’s exactly as you mentioned, should he eat that; can he eat that?? Or he should eat more protein, or he shouldn’t eat carbs! Thank you for your blog, it’s great and so helpful. Wow, I have never gotten a comment on what I eat. What is wrong with people?! Me neither. Usually my friends may ask if I have any requirements, but that’s about a kidney diet. All the time. Just this morning. I brought a one of my mom’s homemade cinnamon rolls to work this morning.